At MooiMed Private Hospital we encourage family support as a vital influence in recovery. A wide range of services and facilities are available to both patients and families. Patients and visitors have the benefit of being transported from the parking areas to the reception area of the hospital or consultation rooms by golf cart. 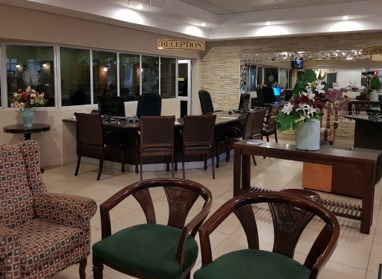 We welcome our patients and visitors in our spacious reception area. Our coffee shop is directly of the reception area for easy access. 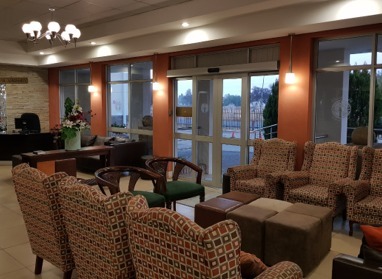 This comfortable waiting area is close by theaters and the wards. These wards are located on the ground level providing direct access to our secure outdoor gardens. 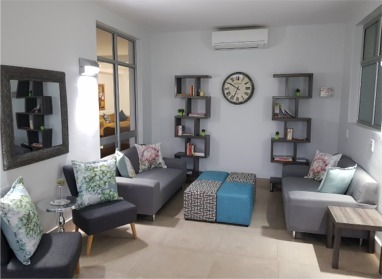 Patients and visitors are encouraged to make use of these garden areas during visiting hours or just to allow for fresh air in the room by opening doorways and windows. outside within 5 m of any outside entrance or window.